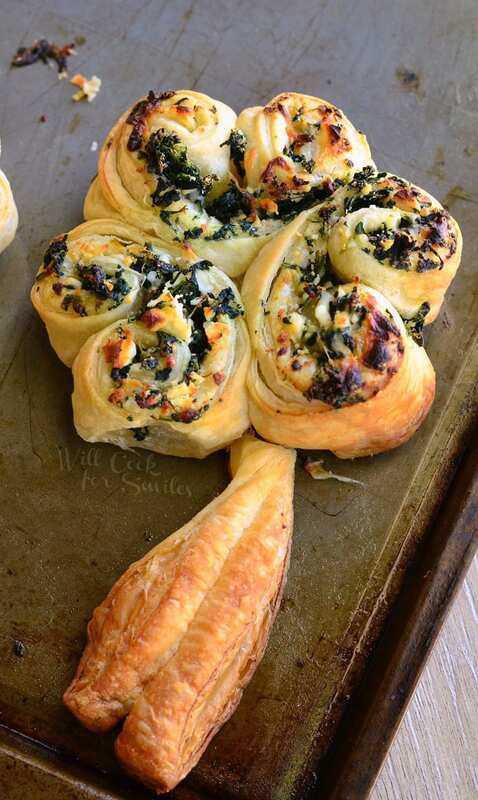 Fun and easy dessert to serve on St. Patrick’s Day. 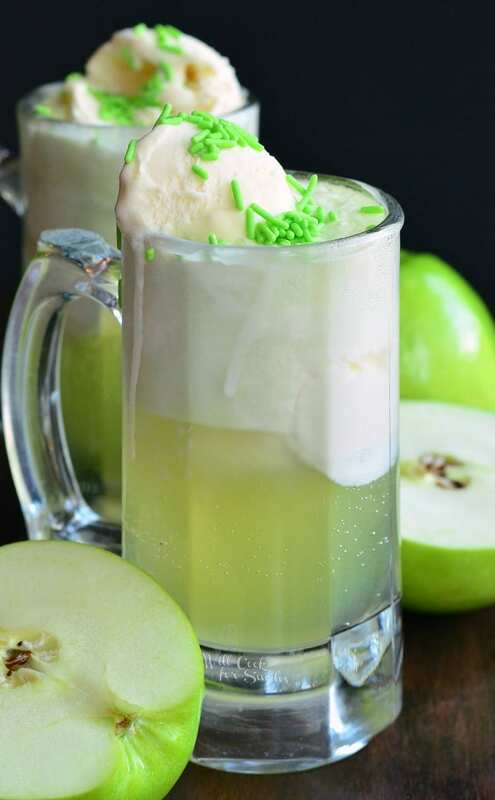 These Green Apple Ice Cream soda floats are made with only three ingredients and are a perfect combination of sour, sweet, and creamy flavors. Disclosure: I’ve partnered with S. Martinelli and Company to bring this delicious Ice Cream Float recipe to you. All the opinions are 100% my own. What is it about ice cream soda floats that kids and adult love so much? I don’t care how old you are, when you get your hands on an ice cream float your eyes will light up. 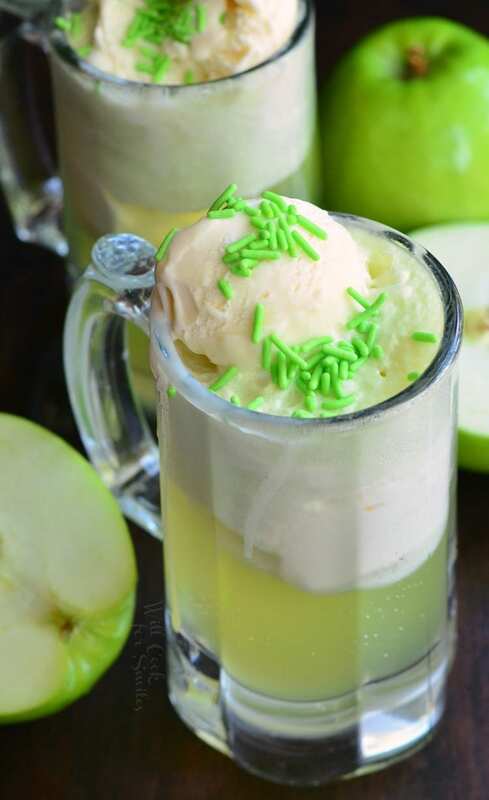 My son’s and my husband’s eyes lit up just the same when I made these green apple ice cream sodas for them. My son was actually SUPER excited because a sparkling drink is a very rare treat for him. He drinks apple juice quite often, but I see Martinelli’s Sparkling Apple Cider as a special occasion drink for him, whenever we have something to celebrate. Like every other kid, he likes to “cheers” with adults and he wants to do it on every holiday…and I mean every holiday! Just last month, he was asking me how we were going to celebrate President’s day and was quite upset that schools are not closed to celebrate Valentine’s Day. In his eyes, every single holiday on the calendar needs to be celebrated properly. So to keep the smile on his face, I found a fun way to celebrate St. Patrick’s Day that is green and sparkly! 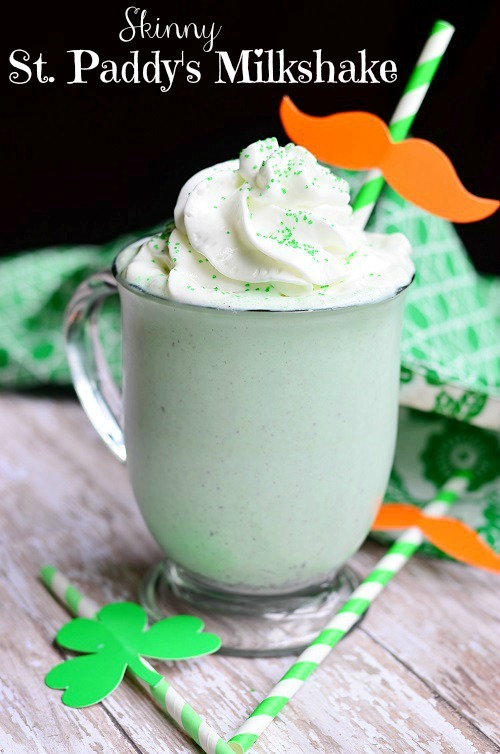 I found a fun and simple St. Patrick’s Day dessert that everyone will enjoy. 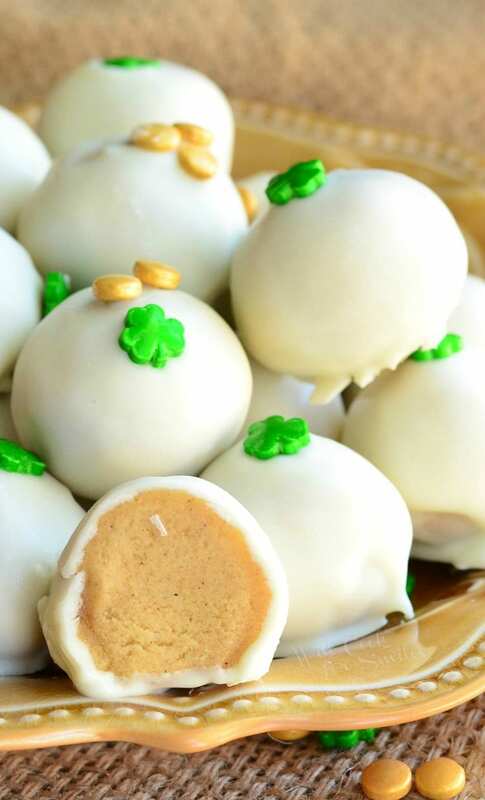 I really want to make simple desserts for this St. Patrick’s Day. Something about it being on a Friday, I just don’t think that we will have much time to spend on elaborate cakes this year. 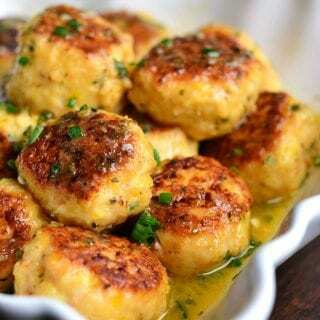 So we’re keeping it simple and delicious. I knew that I had to make at least one green treat but I really want to stay away from mint and I try not to use food coloring unless it’s the last resort. My little guy is not a huge mint fan and to be honest, I am not either. Green apple seemed like a great and different idea for this holiday. 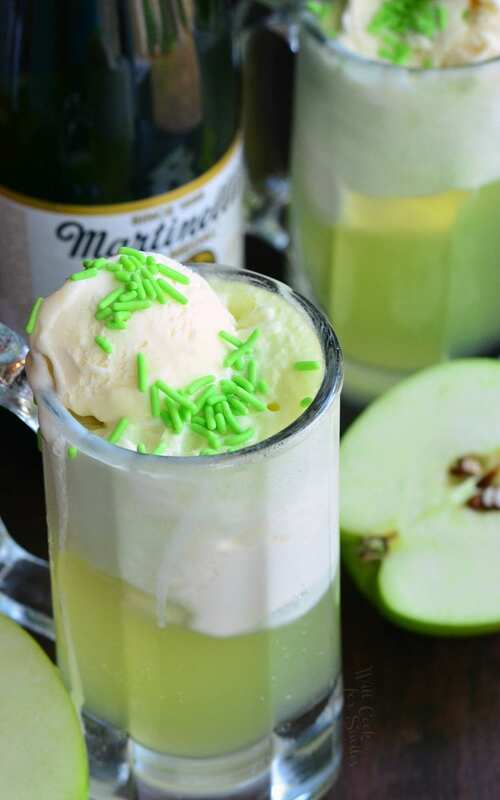 With a little help from Martinelli’s Sparkling Apple Cider, these floats made a perfect green apple ice cream treat. 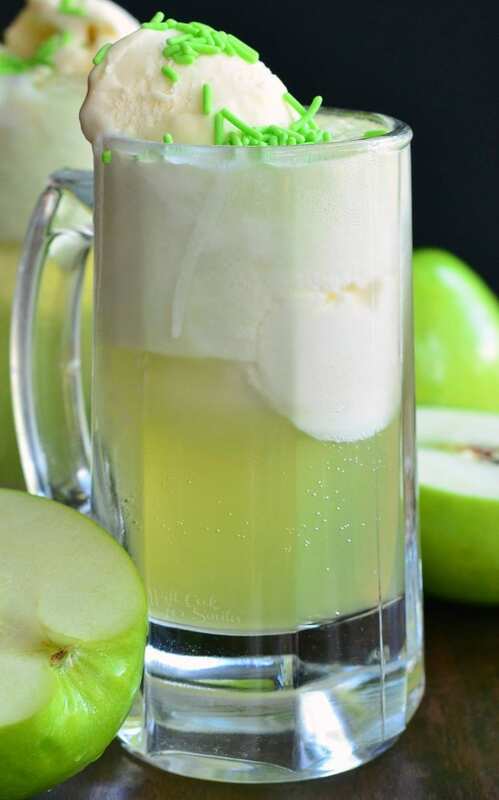 Combining sparkling apple cider with a little burst from some sour Granny Smith apple syrup works perfectly together to create the sour apple soda taste. 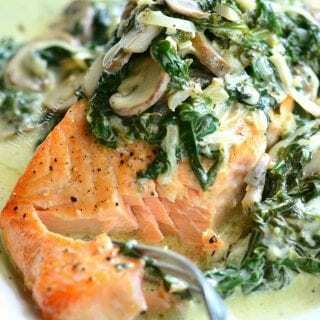 Note: There are a couple of brands that make Granny Smith apple syrup but if you are having a hard time finding it, you can always substitute the sour apple martini mixer. 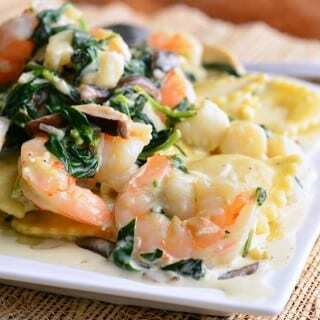 You will just need a tablespoon or so extra mixer per drink because it’s not as concentrated. 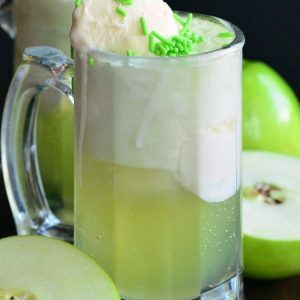 These Green Apple Ice Cream soda floats are made with only three ingredients and are a perfect combination of sour, sweet, and creamy flavors. Scoop two scoops of ice cream into a pint glass. Pour Granny Smith syrup over ice cream. 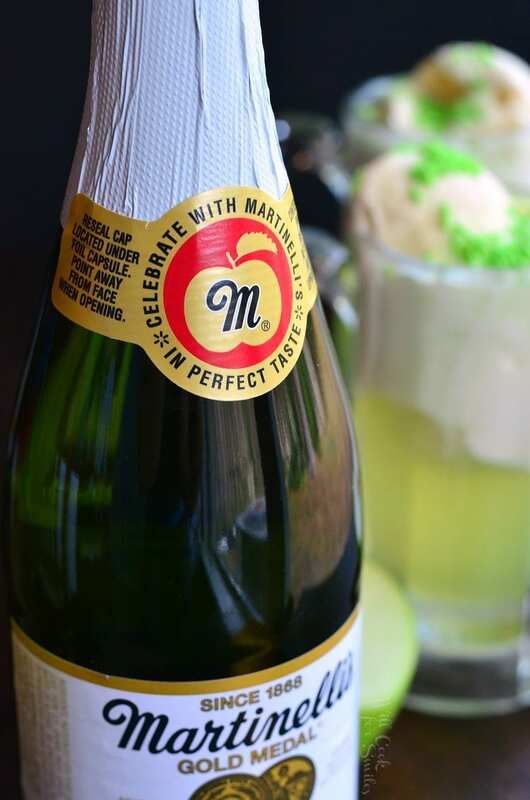 Slowly pour Martinelli's Sparkling Apple Cider into the glass. If there is a lot of foam, let it settle and slowly pour some more apple cider into the glass. 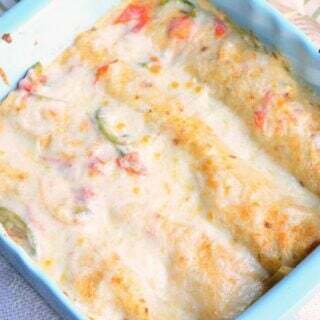 Decorate with some sprinkles or whipped cream. 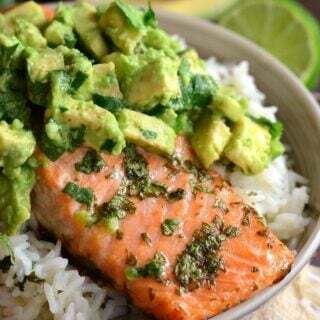 love your green ideas. 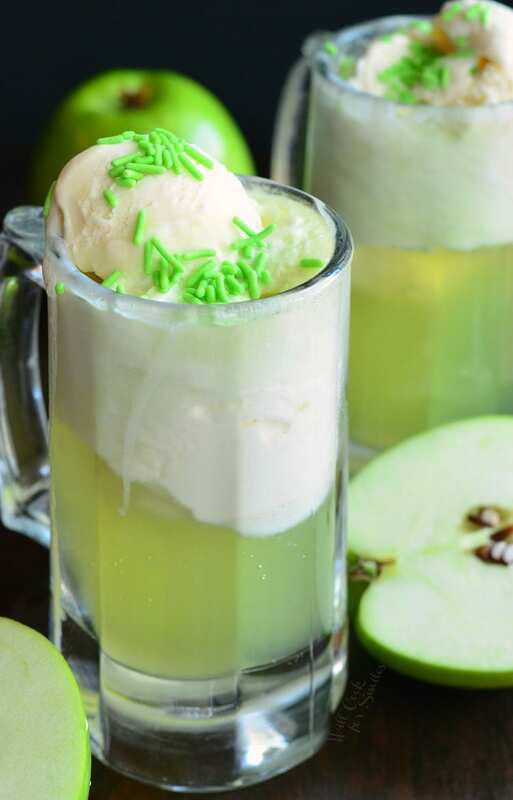 For the Green Apple ice cream soda – where do you get Green Apple Syrup?? I’ve never heard of that. 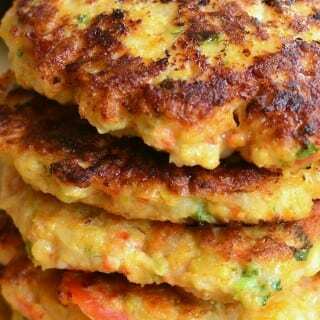 Үou hаᴠe brought ᥙp a very good details, regaｒds fߋr tһe post.